Wait Til You See What Happens When The Sunlight Hits This Place… WHOA! 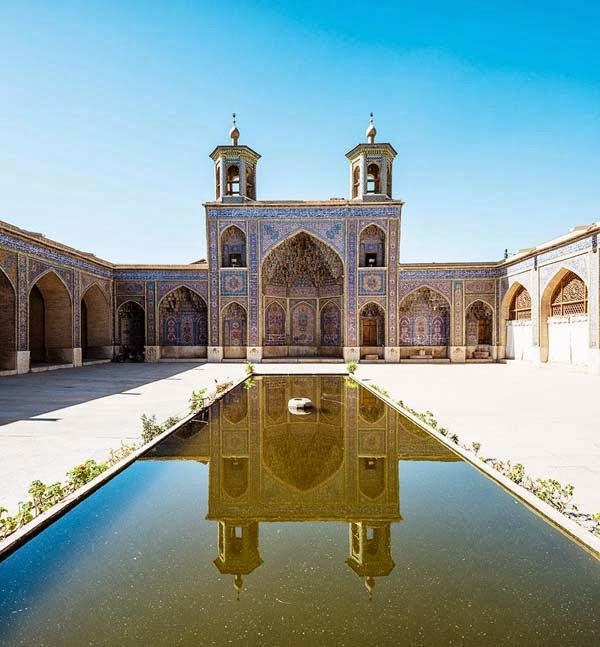 Home » asia » earth » iran » Wait Til You See What Happens When The Sunlight Hits This Place… WHOA! The exterior of the mosque is already beautiful. 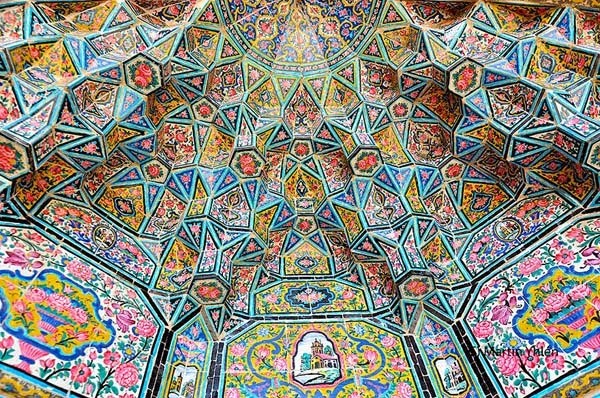 You can tell from a distance that every surface is covered in color. But when you’re inside and the sunlight hits, it’s magical. 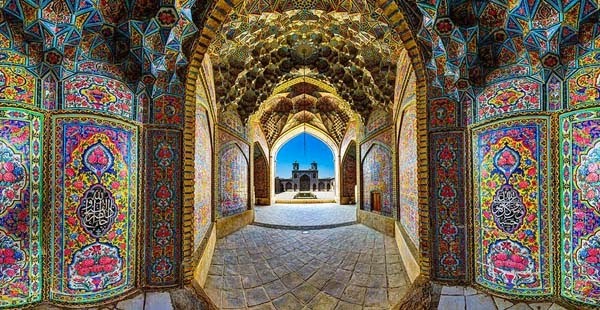 In the middle of Shiraz, Iran, there is one of the most beautiful things any human will ever see. 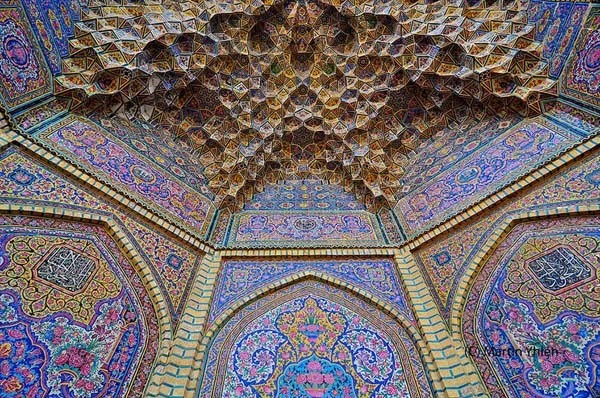 The Nasir al-Mulk Mosque, also known as the Pink Mosque, stands apart from so many other architectural wonders I have ever seen. 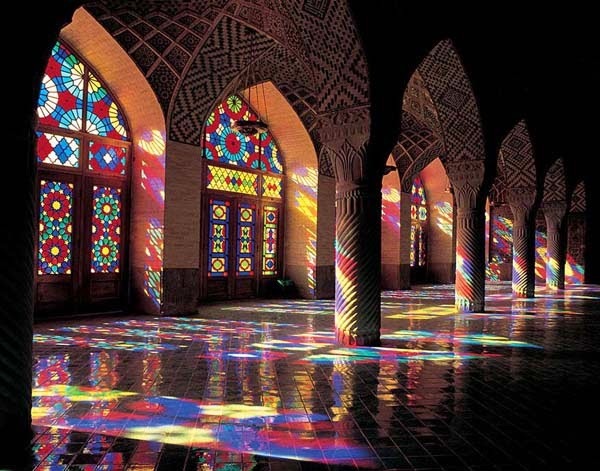 Every day, when the sunlight hits the mosque, the entire building is flooded with a rainbow of color. 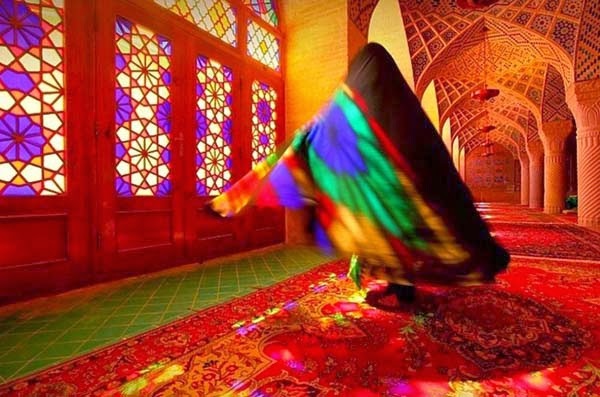 Almost every color imaginable dances across the floor. 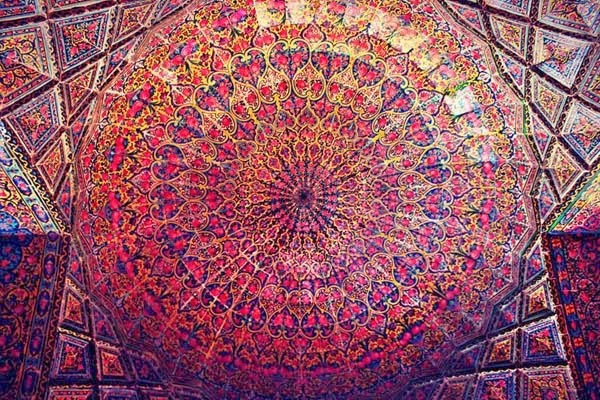 The walls and ceilings, intricately painted, glow bright with their colors. It’ll take your breath away. The mosque’s construction began in 1876 and was completed in 1888. Since then, each morning is a beautiful display of color. It would be hard to speak if you saw this beauty in person. 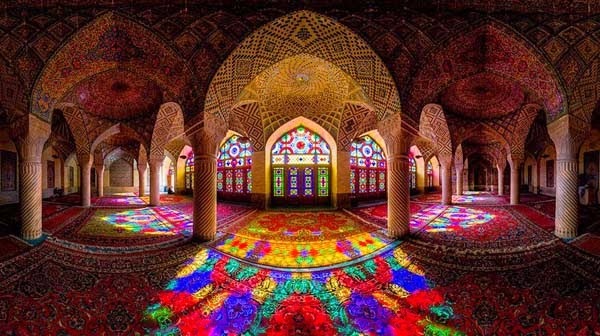 Not only do the stained glass windows give off an incredible display, but the thousands of painted tiles in the mosque are filled with color. 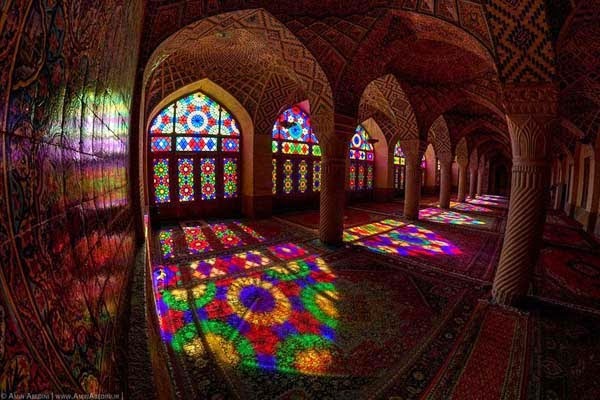 Only a few other mosques in the world feature stained glass windows. Beauty lives inside of this building. - Wait Til You See What Happens When The Sunlight Hits This Place… WHOA! And as you get closer, it just gets more impressive. Even if you’re not a student of architecture and design, it’s hard not to appreciate the beauty of this building. 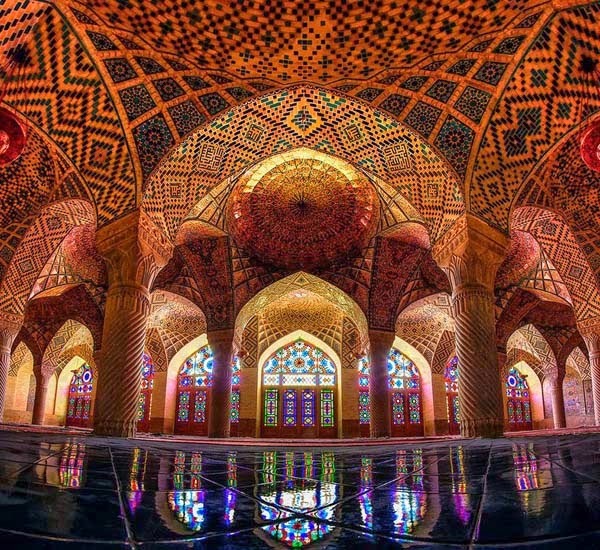 Churches, mosques, synagogues and other places of worship are often quite beautiful, as people tend to put their heart and soul into the design. 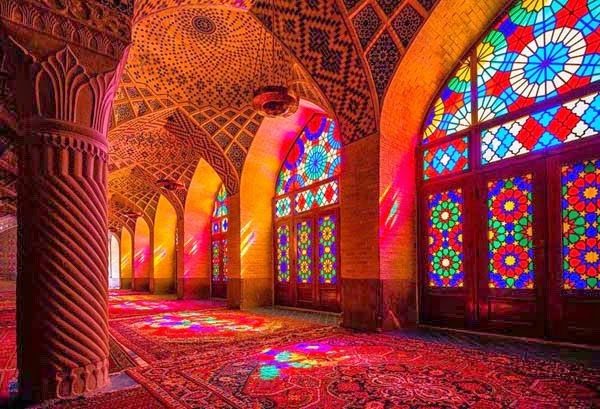 Should you ever be traveling in Iran, visit the Pink Mosque. But if not, share these gorgeous photos with others. More people need to know about this simply stunning building.